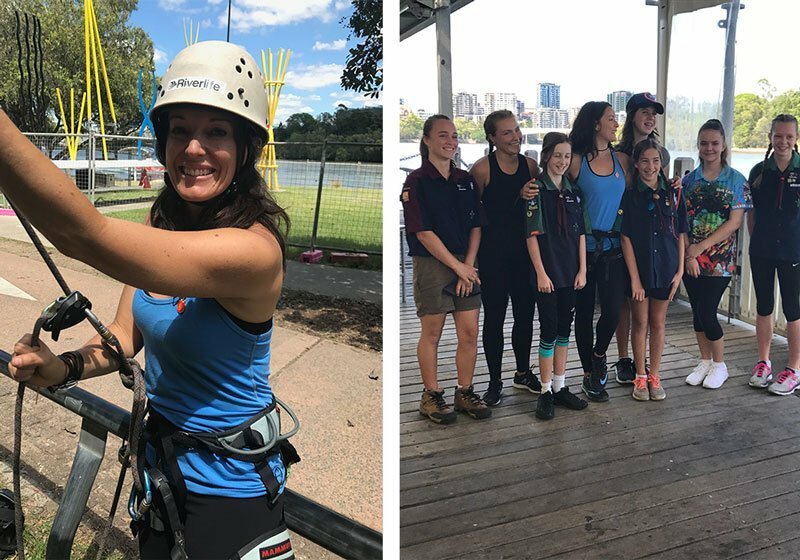 It’s not every day you to get to meet a Survival Expert and Hollywood Stuntwoman who has been on films such as Xmen, Thor, and The Avengers but early last week that’s exactly what seven lucky girls from Scouts Queensland found themselves doing. 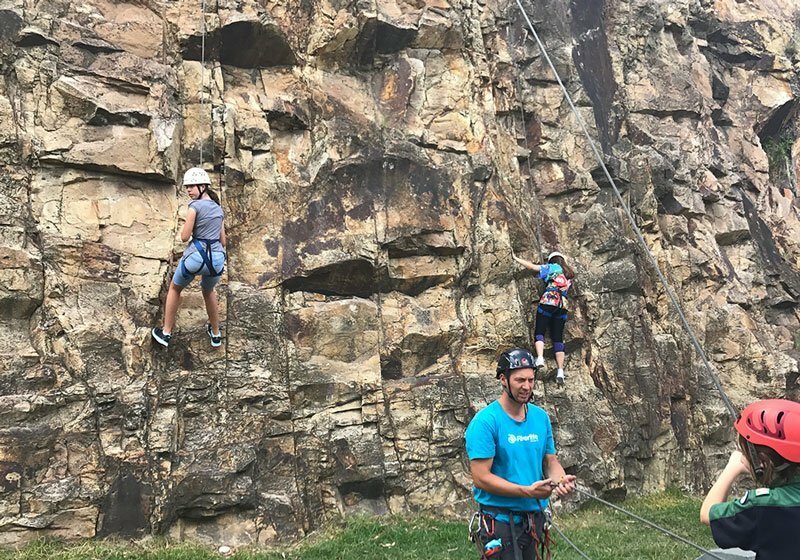 Better yet, this group of teens were taught to rock climb with the adventure woman herself, Ky Furneaux. 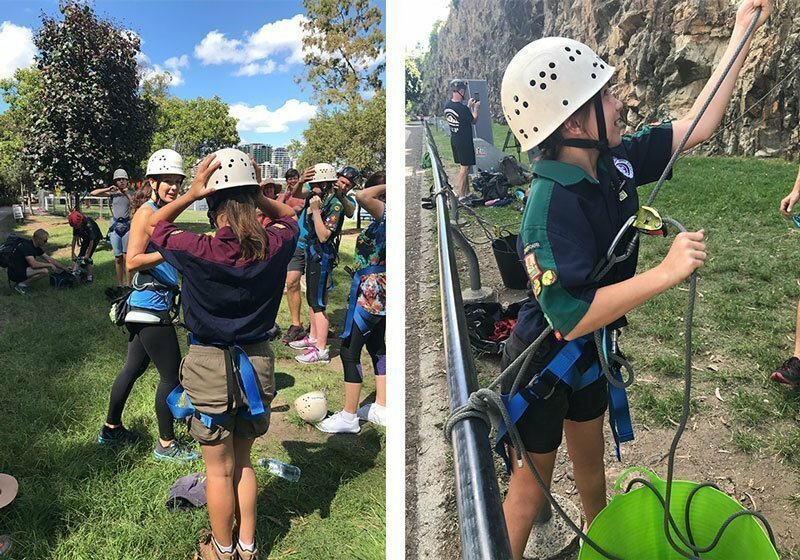 After an early start at Kangaroo Point the girls quickly harnessed up before being taken through their safety paces with Ky. 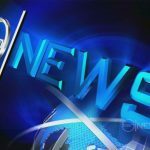 Following a group photo session (upon request of the proud onlooking mums) they were off! 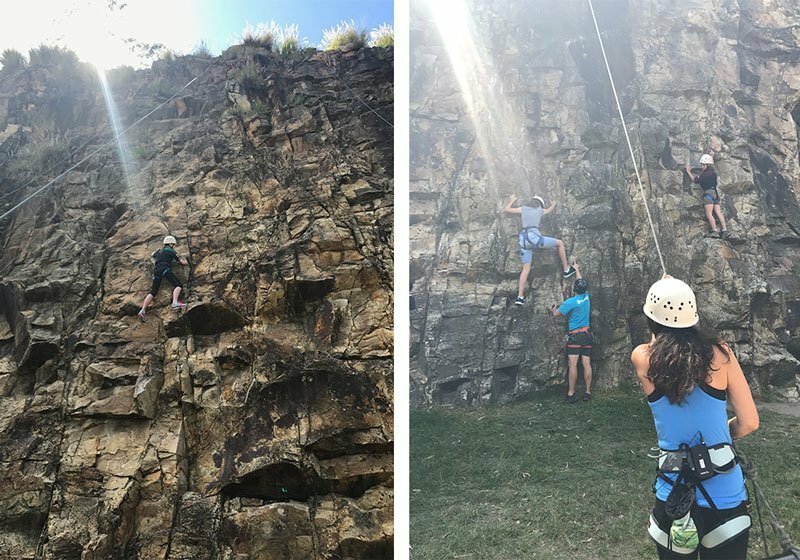 The experience, thanks to Riverlife, was an opportunity for teenage girls to learn skills beyond the classroom such as trust, communication, pushing through fear and creative problem solving. 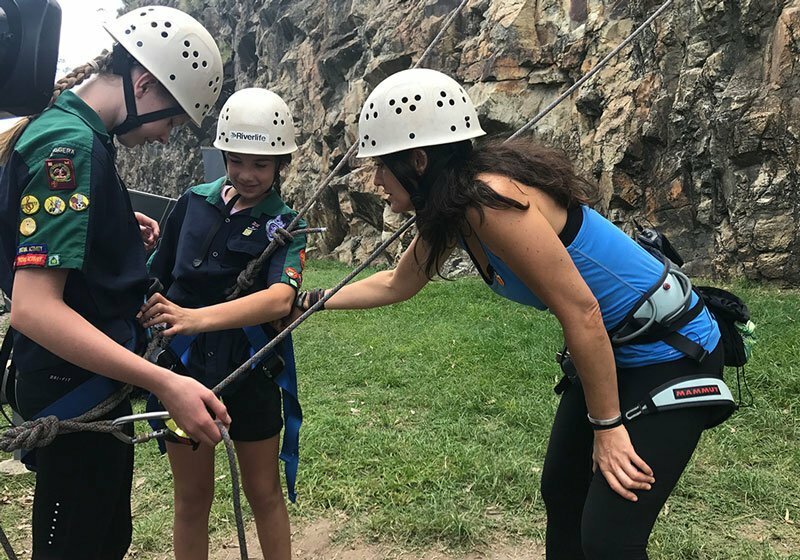 By immersing the girls in an experience without a curriculum it enabled them to develop a sense of self and understand what it takes to work as a team – skills that will transfer into any school endeavour or career progressions they may have in the future. 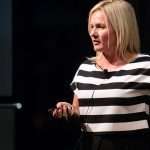 If you’re interested in hearing about any more exciting opportunities as they present themselves, or what to come along to our School Holiday Program, sign up to our newsletter here.